Roughly a thousand years ago, the Mayan civilization thrived as they developed advances in writing, architecture, and mathematical and astronomical studies throughout the Central American isthmus. Within Central America, Guatemala is considered to be the heart of the Mayan world. The nation is the most populous of the Central American countries, and it is a popular travel destination for millions of people all over the world who want to visit and experience the beauty of the Mayan culture. However, Guatemala’s excessive crime and murder rates rank among the highest in the world and could threaten the nation’s growing tourism industry. According to a 2012 report from the United Nations Office on Drugs and Crime, transnational organized crime in Guatemala comes at a price and is usually in the form of violence. In the report, thousands of Guatemalans were asked what was the most important issue facing their country. It was no surprise that the public felt crime was five times more important than unemployment. Guatemalan government officials are responding to the people’s concern by utilizing the country’s most elite warriors, known as the “Kaibiles,” Guatemala’s Special Operations Force. Since illicit activities, such as drug trafficking, are linked to crime, Kaibiles have been assigned to the Special Interdiction and Rescue Group (GEIR) to defeat organized crime and other ever-changing threats. The GEIR is considered to be Guatemala’s top fighting force. The GEIR is responsible for neutralizing, preventing, and acting against any narcoterrorism threat in the country. With support from Green Berets assigned to the 7th Special Forces Group (7th SFG), the mission of the GEIR is simple: Keep Guatemala safe for its people. Members of 7th Group are under the operational command of Special Operations Command South (SOCSOUTH), in Homestead, Florida, which is responsible for all special operations in the Caribbean and Central and South America in support of U.S. Southern Command. SOCSOUTH assists partner nations through training exchanges enabled by its theater security cooperation program. 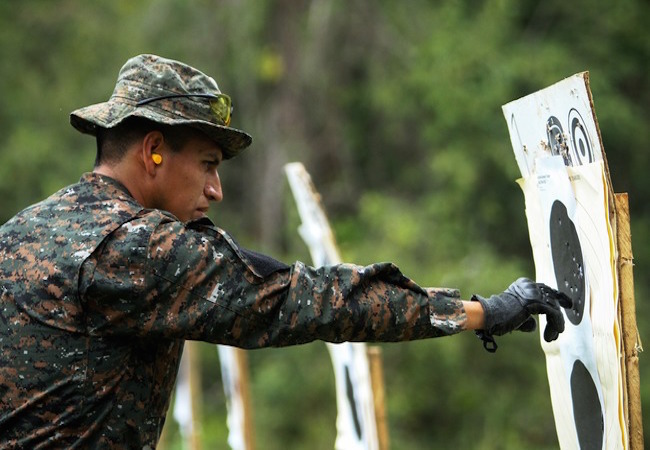 Training programs, such as the one in Guatemala, empowers nations to train together in an ongoing effort to better protect national borders and increase the host nation’s capacity to conduct special operations. No matter where they are stationed around the world, helping build military capacity and working with partner nation counterparts to deter security threats is something U.S. SF Soldiers do best. The mission in Guatemala isn’t any different. “By facilitating training and developing their subordinate leaders to work with their officers, we can enhance their abilities. Based on what we’ve seen here, the noncommissioned officers are completely capable of running their own training. 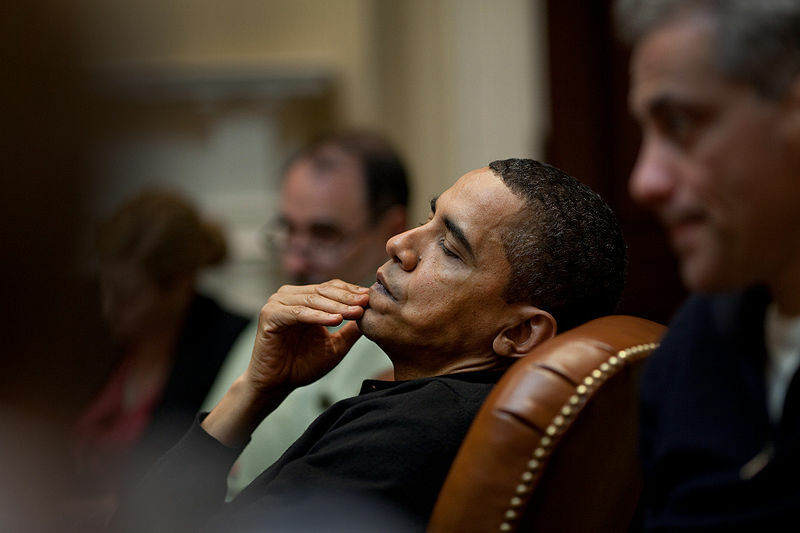 It has almost become second nature to them,”he added. For the GEIR colonel and his men, who are considered to be the first responders to handle counter narcotics trafficking operations, training makes the difference between life and death. “Training is extremely important and it needs to be constant,”said the colonel. “We have a saying here: ‘it is better to have sweat hundreds of drops of water than to have bled one drop of blood,” to emphasize how vital the training is for a quick reaction force unit like the GEIR. Currently, the training is geared toward accuracy during a pistol marksmanship event. Admiring the quickness and effectiveness of the Guatemalan Special Forces Soldiers, the U.S. looks on as the GEIR NCOs carry out the training. Training is around-the-clock. With so many missions, the unit requires constant mentoring and support to perfect their craft. The U.S. SF Operational Detachment Alpha, or ODA, team provides the GEIR with mentorship on all aspects of military operations. “Training them on operational processes and logistical training is one of the biggest objectives we concentrate on,”said the SF medic. Additionally, the ODA team is regularly working with GEIR members in close quarters combat, weapons familiarization, sniper techniques, medical care, and communications, just to name a few —but always focused on developing small group leaders because the Kaibil’s mettle is tested daily. The Kaibiles, who are based in the Special Forces Kaibil Brigade, are either constantly engaged in training events or being ordered to help protect civilian lives due to their expertise in interdiction and rescue operations.